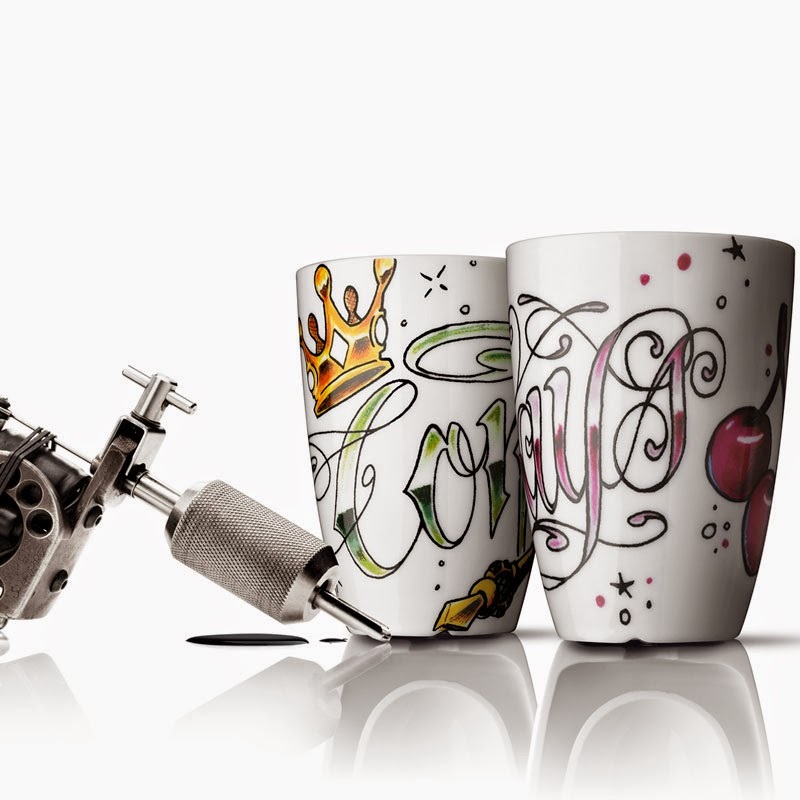 How about a trendy tattoo on your cup? 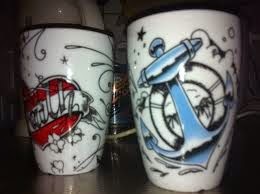 Tattoos are hot, and for those who cannot get enough characteristic ink, they are now also available on cups. 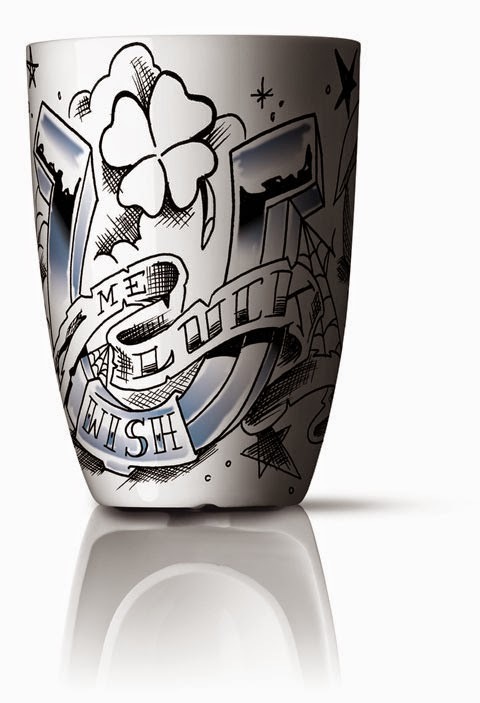 The design company Menu has issued “Ink” – a limited edition series of designer Pernille Vea’s award-winning thermo cup featuring original artwork by the hip Danish airbrush and tattoo artist, Alexander Hasnaoui. Alexander Hasnaoui has blown new life into four old-school sailor’s tattoos designed especially for Menu: Faith, Hope, Love & Luck. 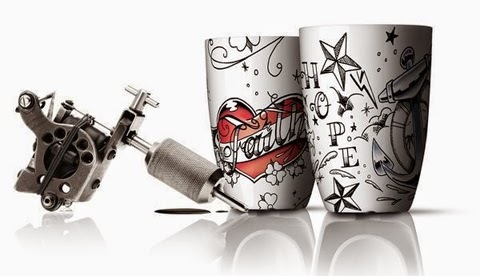 In Alexander’s unique graffiti interpretation, classic symbols of love and faith exude pure feminine power, with their masculine counterparts found in the hope and luck artwork. 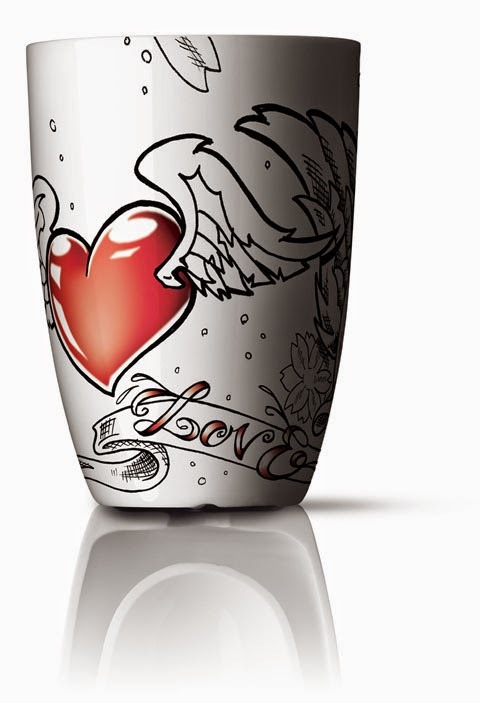 The tattoos look marvellous on the stylish, white porcelain thermo cups designed by Pernille Vea. 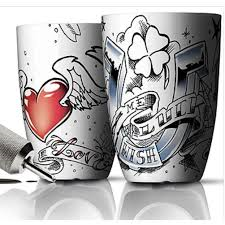 The “Ink” thermo cups will only be produced in a limited quantity and sold in sets of two: one featuring the Love and Luck tattoos, and the other featuring the Faith and Hope tattoos. Despite the hot artwork, nobody will risk burning their fingers. 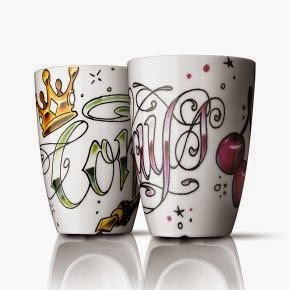 The cups are made with two layers of porcelain with an insulating hollow core that keeps the contents warm while maintaining a comfortable temperature on the outside.